The day we have been waiting for is finally here, Julia’s bladder surgery. Sean is working on some posts to update everyone on our journey to this point, but for those of you who do not know why she is having surgery I will quickly fill you in. At our 16 week ultrasound the ultrasound techs and doctors at MUSC couldn’t see her bladder. After some follow up imaging and a trip to Boston Children’s Hospital, we learned our little princess has bladder exstrophy. So she has a bladder, but it’s on the outside of her body. Today, some of the top medical professionals will repair her bladder. This morning Sean, Julia, and myself got to Boston Children’s Hospital at 6am for a 7:30am surgery. Julia was in a great mood during the Uber ride to the hospital, even FaceTimed Papito & Mimi, then quickly fell back asleep upon arrival. As soon as we were checked in I took her out of her carseat and just held her as long as I could. Sean and I were concerned she would start getting restless before her surgery as her last bottle ended at 3:13am (3:30am was her cutoff). Thankfully she just slept peacefully in my arms the whole morning. Doctors and nurses made their rounds filling us in on how the day would proceed. The communication, attention to detail, and genuine care everyone showed for Julia was amazing. Anesthesia, general surgery, orthopedics, and urology all worked together to make sure Sean and I were informed and that they had their multiple plans in place. When one of the nurses did her final review and was ready for me to pass Julia to her, our sweet little princess gave us a big smile. After tearful kisses she was on her way. When we last spoke, we were waiting to find out of the cystic hygroma was going to develop in to hydrops, a potentially fatal condition for our little girl. After five long weeks, we finally arrive to our 16 week ultrasound. The tech is doing all the ultrasound tech things, and we are waiting patiently. She makes what seems to be an offhand comment about trying to find the bladder, then says she needs to step out. But before she can, we ask her: Hydrops? Cystic Hygroma? We are incredibly relieved, and yet the last time the ultrasound tech needed to step out, we got some pretty rough news, so our relief was tainted with a bit of dread. While that is a large list, the biggest issue that the doctors seemed concerned about was the bladder. 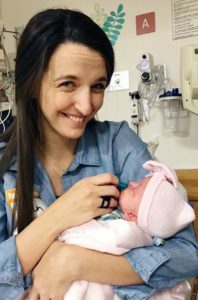 While they couldn’t find it, they did note that the fluid around the baby was normal, implying that she was both taking in and excreting the way she should. They also noted a mass below the umbilical. If you are new to this term, that is expected. It only effects 1 in about 40,000 births. Essentially, the bladder forms outside the body instead of in. Another way it was described is that we essentially start flat in the womb, and as we fold over, we zip up down the middle. With bladder exstrophy, the zipper gets stuck, and parts of the body form outside instead of inside. Over the next few months we discover that because of the rarity of bladder exstrophy, the doctor at MUSC only does 3 a year on average. After some research and discussion with our local team, we decide that Boston Children’s Hospital will take care of her exstrophy, and schedule a prenatal appointment for two days before Christmas. After the birth of our second daughter Claire, Tori and I were a bit at odds as to whether our family was complete. I had been under the impression that we were having two children, she three. After a couple of years, I decided she was right, and three was the number for us. It took a few more years, but one day, Tori surprised me with the news that we were pregnant. We were very excited about our addition – telling the girls, would it be a boy or a girl – all the usual stuff. 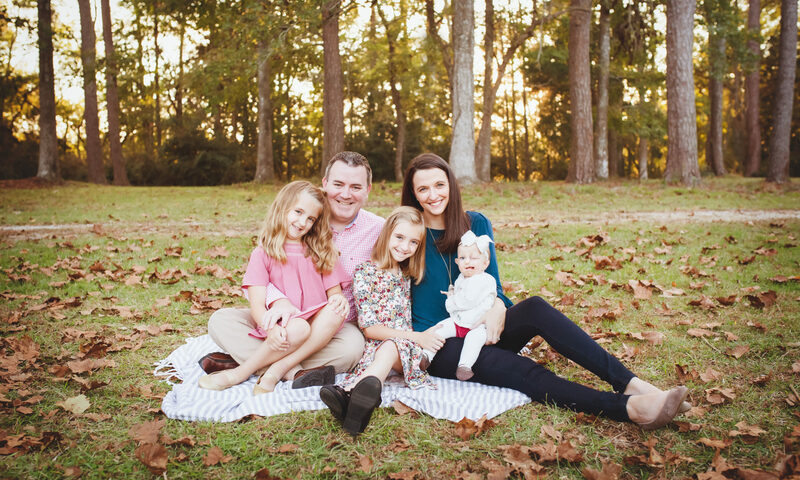 As Kaitlyn’s pregnancy had gone a little sideways at the end, and we had spent all of Claire’s with MUSC’s high risk clinic, we decided to stick with MUSC as our care provider. A bit over five years after the birth of our last child hadn’t changed much in obstetrician care, but we were surprised to find out that MUSC likes to do a first trimester ultrasound at 11-12 weeks. And that is the moment that the roller coaster left the loading zone and started to make its way up the first hill. At the ultrasound appointment, everything seemed to be going well. Towards the end, the ultrasound tech mentioned she was having an issue with the back of the neck, and stepped out for a moment. Coming back with a doctor, the continued the scan for a few moments, and then turned on the lights. Our baby has a cystic hygroma. We were stunned, though honestly, we didn’t really know what this meant. The doctor got us in to see a genetic counselor, and she explained that there were a few different outcomes ahead of us. First, our baby had a roughly 50% chance of developing fetal hydrops, which – as we understood it – would mean she would not make it to birth. Second, our baby also had a 50% chance for a chromosomal abnormality, such as Down’s or Turner’s. Obviously, this was shocking news to us. To identify if any chromosomal issues existed, Tori could give some blood, and MUSC would send it off to a lab to sort out bits of fetal DNA from her own, and see if there was anything there. When that test came back, we were told that they had not detected any chromosomal issues, and that baby was a girl. Hello Julia! For the hydrops, though, the only thing we could do was wait. Five long weeks had to pass before we would know how this coin flip would land.